Nigeria sentences 54 soldiers to death for refusing to fight Boko Haram. 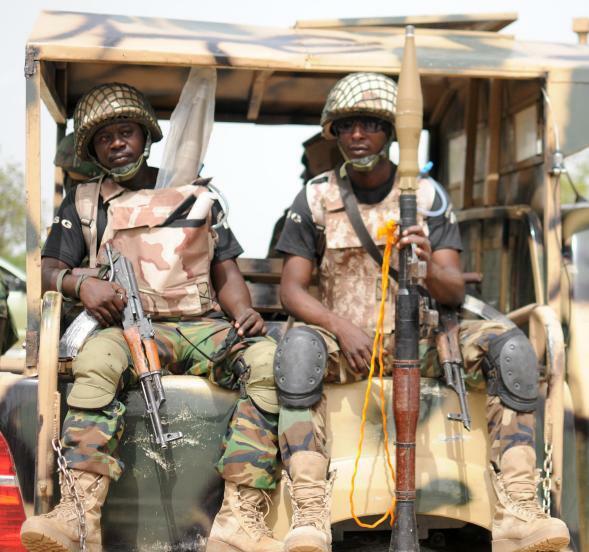 Nigerian soldiers ready for a patrol in the north of Borno state in June 2013. Nigeria on Wednesday sentenced 54 of its own soldiers to death for refusing to fight the Islamist group Boko Haram. “The soldiers, who were found guilty of mutiny, were accused of refusing to help recapture three towns that had been seized by Boko Haram in August,” according to the BBC. The convicted soldiers will face a firing squad, according to their lawyer. “All the soldiers had denied the charges and the sentence is subject to approval by senior officers,” the BBC reports.